Alison Maitland has been announced as the new Chair of the Cass Business School Global Women’s Leadership Programme Executive Board. Alison replaces Lynne Berry OBE, who has completed her two-year term as the inaugural Executive Board Chair, helping successfully launch the programme. The Cass Global Women’s Leadership Programme inspires, equips and connects women throughout their career – from undergraduate to postgraduate to alumni and beyond. It inspires by supporting ambition through events with stimulating speakers. It equips by helping women develop skills, competence and resilience, either through workshops or by offering financial support to study at Cass. It connects via networks, groups and communities supporting each other. 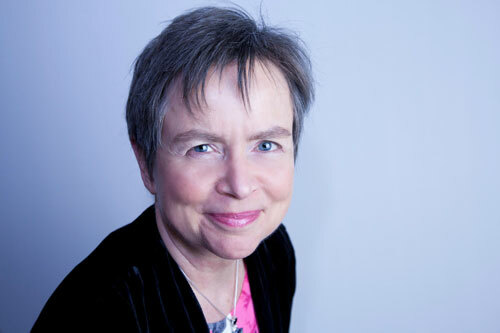 Alison is an international writer, speaker, adviser and coach, and a Senior Visiting Fellow at Cass. Her key areas of expertise are: the changing world of work; building inclusive organizations; new models of leadership; and gender balance in business. She is a former long-serving Financial Times journalist, and is co-author of two books, Future Work and Why Women Mean Business. Alison has served on the Executive Board of the Cass Global Women’s Leadership Programme since 2017. She is a Board Director of the International Women’s Forum UK and a Senior Fellow in Human Capital with The Conference Board. Her numerous writings include a chapter called ‘A Gender Power Shift in the Making’ for the BBVA book, Reinventing the Company in the Digital Age. In 2012, she received a ‘World of Difference 100 Award’ from The International Alliance for Women (TIAW) for her contribution to women’s economic empowerment through her writing. As a coach, Alison works with clients who want to make a positive difference in their lives and in the world. She is trained in the Coaches Training Institute’s Co-active approach, is an Enhanced Skills Practitioner in Conversational Intelligence®(C-IQ), and is a member of the International Coach Federation. Alison said she was pleased to continue her work with the Programme in her new role as Chair. "This is a rich and vibrant programme that has achieved a lot in a very short time at Cass and beyond. As we take on further exciting challenges, I’m looking forward to chairing this board of highly talented advocates of gender-balanced leadership in our organisations and in society." Programme Director Dr Canan Kocabasoglu-Hillmer said she was delighted to welcome Alison as Chair of the Executive Board. Dr Kocabasoglu-Hillmer also thanked Lynne Berry, who has finished her two-year term as inaugural Chair of the Executive Board. Find out more about Alison and her work here.